Sony has just unveiled two phones: its new flagship, the Xperia XZ, and a small phone that you can use with one hand, the Xperia X Compact. Both feature evolved design, battery tech and some new interface tricks, but probably the most important innovation with Sony's new duo comes in the camera department. Sony is one of the last believers in high megapixel numbers and it has equipped both new handsets with a 23-megapixel main camera that features a Sony IMX300 sensor that is custom made for Sony Mobile. It's 1/2.3" size, and in case that number does more to confuse you than explain something, let us clarify that this is currently the largest sensor size that is used on modern smartphones, and the larger the sensor, the higher go the expectations for image quality. On top of this sensor is a high-quality Sony G lens with f/2.0 aperture and a 6-element optical construction. Sony claims improvements in three key areas with this new camera: focusing, stabilization and image processing. We'll take a detailed look at each of them. Sony adds laser auto-focus to the X Compact. Laser AF works in the following way: a tiny infra-red (invisible to the eye in regular light) laser beam is shot. It has a spread of around 3 feet and helps lock focus faster by measuring the time it takes for the emitted light to come back. This comes in particularly handy in low light situations, where the phase-detection auto-focus might not work as well, and the added information about the distance of the object that you want to focus on will help the lens adjust its position quicker and ultimately lock focus faster. 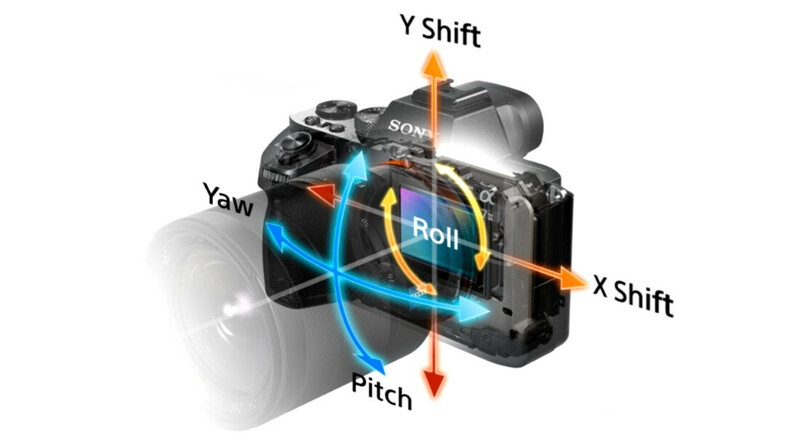 Then, there is stabilization: no optical stabilization (OIS) is on board, but Sony has vastly improved its software stabilization and now compensates for movement in 5 axis, including shift and shake. Sony gave an impressive demo showing how footage is stabilized from both close and afar, with much less jitter. Avoiding optical stabilization also comes with some advantages, as utilizing OIS only results in videos that have a noticeably wobbly effect around their edges. Finally, there are improvements in the image processing with better dynamics, better handling of both highlights and shadows that are now more balanced. Sony showed a demo where highlights are better preserved and much less overblown on the Xperia XZ, and skin tones are also represented more accurately. Then, the company also showed a few images shot in low light, where the new phones managed to capture a much sharper picture. In addition to these three key areas of improvement, there's also now a separate color sensor that helps determine the white balance of a picture much more accurately, so you get nice colors in various lighting situations. It's a passive sensor, meaning that it only detects the light that's falling on it and uses it to set white balance properly. Up front, there is an 8-megapixel selfie shooter on the Xperia XZ and the new thing about it is that it uses a much larger than before, 1/3" sensor, and it also makes use of the 5-axis software stabilization that results in sharper images and smoother video. Having this type of large sensor and stabilization is still rarely seen on phones, so this will definitely make the XZ stand out for selfie abusers. Tech talk aside, here are some actual camera samples taken with the Sony Xperia XZ. Keep in mind that the unit we had was close to the final one, but not the actual retail unit, so Sony might still improve some things in the camera department until the time it launches. I want to see comparison between Note 7 versus this phone. If we go by the track record of camera on Xperia phones, Note 7 is probably going to embarrass these new ones too. Camera is one of the departments Samsung nails pretty much every time, the other one - AMOLED display. note 7 is a embarrassment to the samsung track record . s7 and note 7 cameras are full of oversharpening! just zoom over the edge of some object and see the sharpening ugly effect! even without zooming in you can see the halos in low-light photos. i can't believe people talk it like it's the best camera on smartphone. much larger sensor? The Z-line featured 1/2.33" sensor since Xperia Z1 (don't remember about Xperia Z). I guess the XZ will win the dxomark battle for 2016. Despite mediocre image quality. with that large sensor, SONY still manage to make it's camera flush and small. kudos to SONY.